An Adventure, Travel and Lifestyle blog designed to encourage you to try something new. 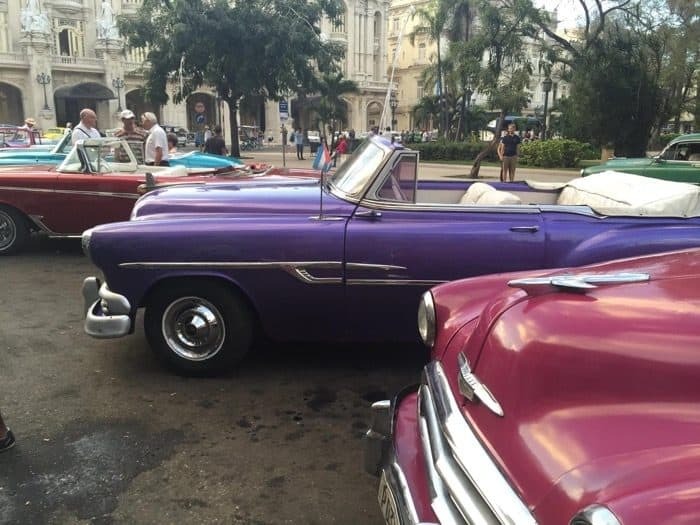 There is a lot of buzz about traveling to Cuba right now. It’s definitely a destination that I would love to visit for so many reasons. 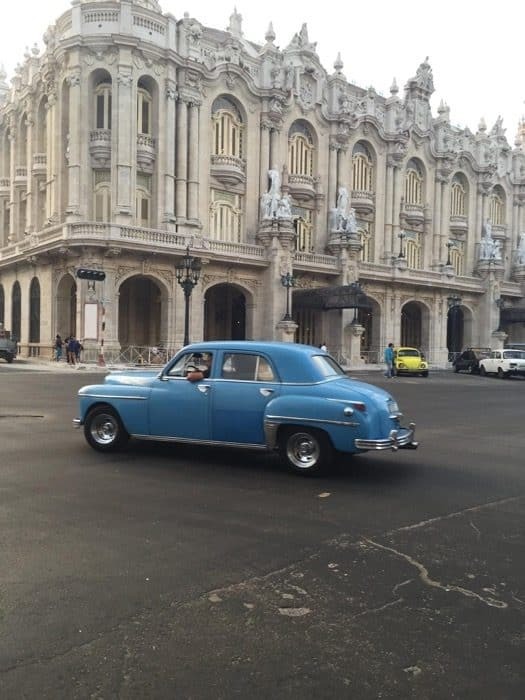 I was really excited to see pictures from my friend Joy on her recent vacation that included a visit to Cuba. Joy and I go back 20 years. 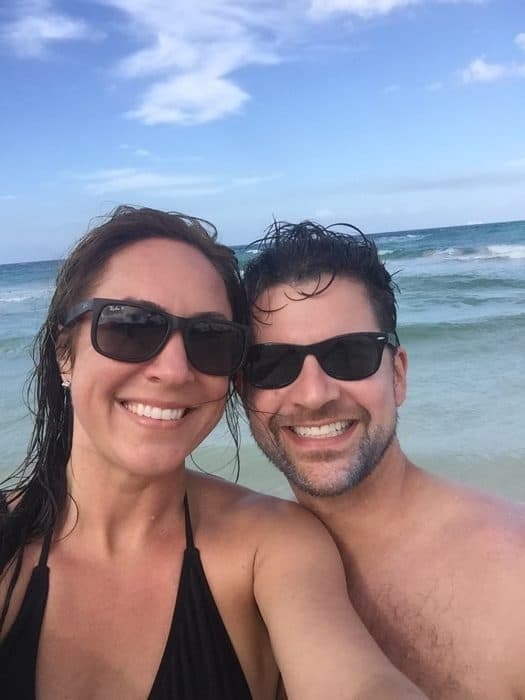 We met in college and have shared LOTS of fun adventures that include cliff jumping in Jamaica, spring break in South Padre and a recent girlfriend getaway to Traverse City for a mini reunion. 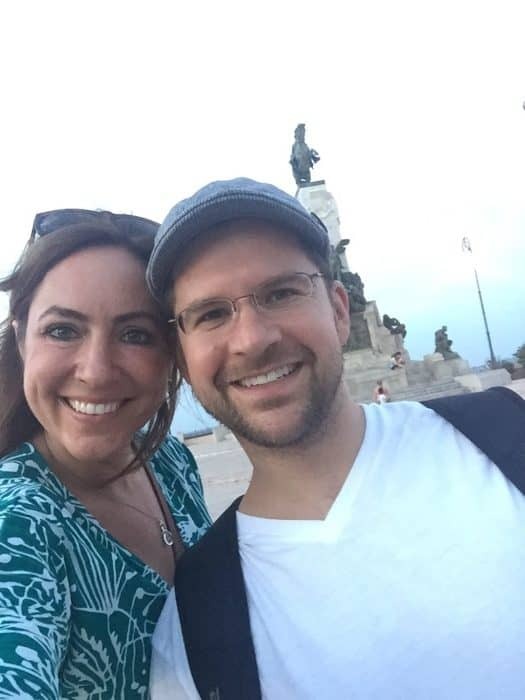 I asked my friend Joy and her husband Steve to share some of their helpful tips for traveling to Cuba for the 1st time. 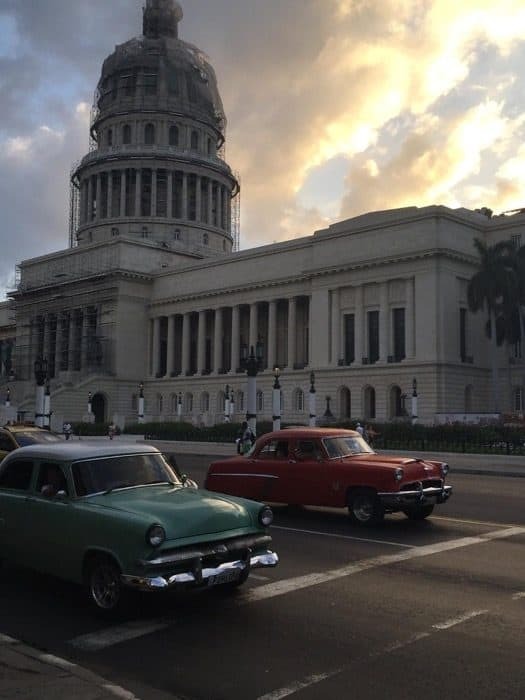 How did you decide on visiting Cuba? I think initially, we were not planning on it. It came up as a novel idea, almost like a joke, that since we were in the neighborhood, we should try and make it to the island. We had no idea at the time the actual distance of Cuba from Central America, where we were initially going to stay for the whole time. Once the seed was planted to go to the island though, it set in motion new travel plans, changes, and a cancelation to existing flights. We wouldn’t change a thing though! 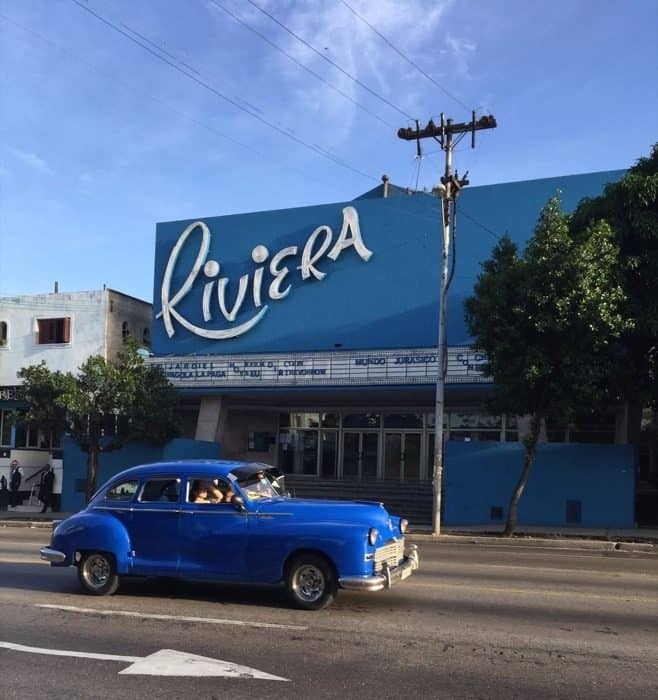 Did you experience any challenges traveling to Cuba as an American? If so, what were they? Traveling to Cuba, no. 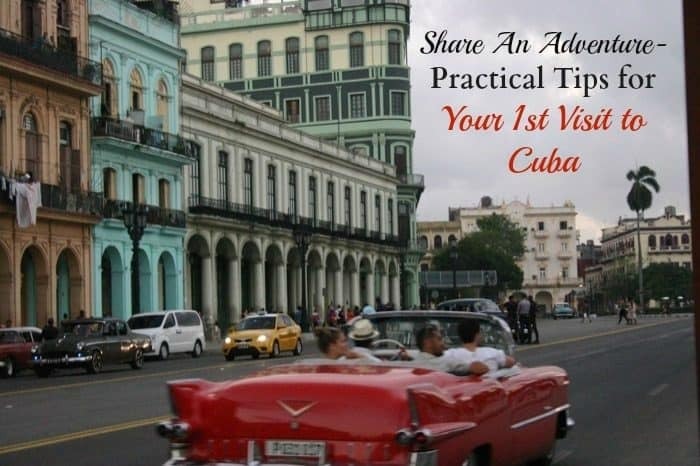 It was as easy as asking the check-in clerk in the Panama airport if we can buy a Cuba travel Visa. No questions asked, and were only charged $20.00 US. We had to enter our travel info, passport, destination, but it was all pretty standard. The only interesting thing was that they did not stamp our actual passport, hence the need for the Visa. When we left, we were warned we would have to pay an airport tax – that was a bit scary considering we had no more cash left and had no way to get any more cash. We did not have to pay a tax to leave, but it is best to be prepared and leave yourself an extra $20 to leave, just in case. How would you describe the culture there? The culture is very much in need of an influx in cash, food, and experiences. If you talk to some locals, they will tell you they have limited access to food – as part of the national stipend, each state employee receives a minimal amount of money, usually reserved for feeding the family. Many depend on selling goods or working at various locations to receive extra cash, so everyone is always looking for an angle to make a few extra dollars. Most people seemed skinny, as in they aren’t overweight and don’t eat poorly. Fast food, or processed food, isn’t a thing there. So every meal is handmade, or freshly made right there. The only processed items we ate were drinks – soda and beer. The people want more access to information though, such as the internet, TV, radio, etc. Having limited access to internet reduced the knowledge that many can gain from looking at what goes on in other parts of the world. 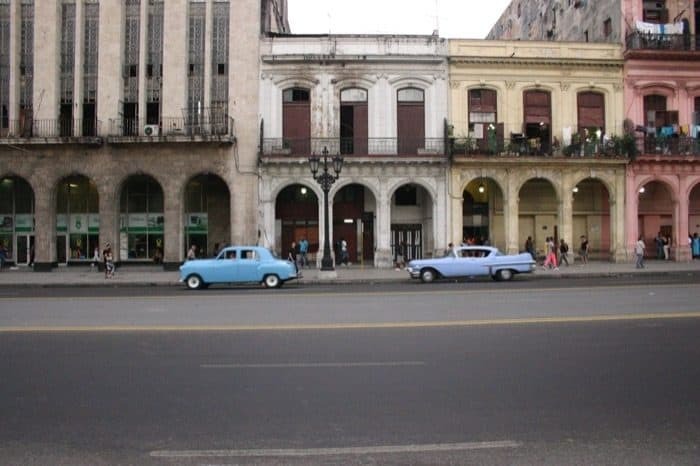 Even travel restrictions – such as a Cuban traveling to the US or another South American country, without access to the Internet, they might not know what they can, or cannot do. If you talk to most individuals, many haven’t ever left the island. Simply because it is too expensive to leave – and likely will become even more expensive as the travel embargo is lifted. There is a huge influx of European, Australian, and South American travelers there. Some merchants can make extra cash, drivers and bed & breakfast folks can also make more money, but it is only a dollar here or there. We hired a driver for 2-days and it cost us about $100. Granted, this was a private driver, but that $100 would take him weeks to earn at any other job. The Cuban people we talked to, want more choices and the freedom to make those choices, without repercussion. If you talk to anyone, they will tell you they want access. Access to anything, anything they don’t have right now. What experiences stood out to you the most during your visit? We were approached by several “friends” that saw us gringo’s coming from a mile away. In each instance, they spoke English very well and only wanted to talk, to get to know us, and learn more about us. Usually after a minute or two, it was apparent they wanted money – for their sick kid, or to eat. The first time, we caved and gave some cash, nothing more than a handful of change. But the second and third times, and several times later, we sternly said, “No.” If you advertise you are looking, they will come out and ask for anything. But if you look like you know what you are doing, you will be fine. Everyone smokes there, literally, everyone smokes. And they smoke anywhere they want to. If you happened to light up a cigarette, magically an ash-try would appear in front of you. Oh, and toilet paper goes in the trashcan – not the toilet. 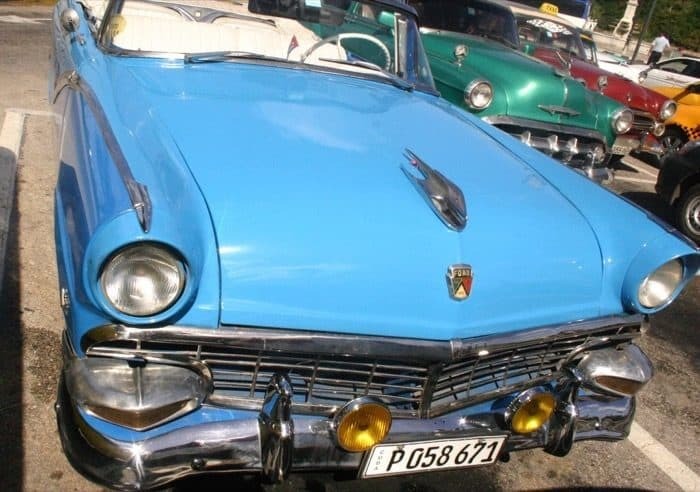 What are some of the misconceptions about Cuba? 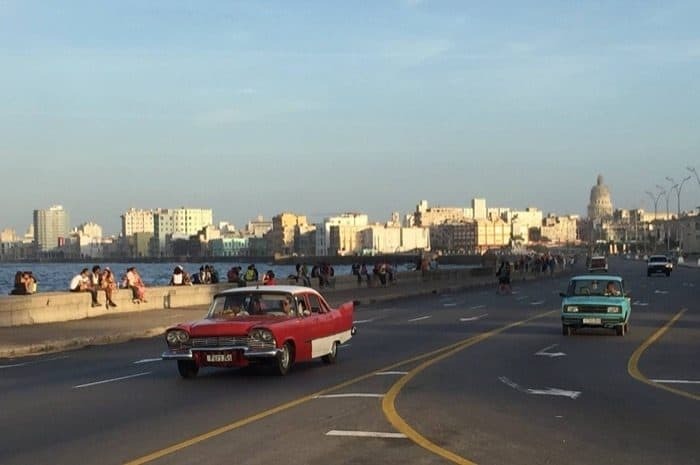 That Havana is a small city. It is very large. Think, the size of a moderately large mid-west town. Think, Grand Rapids, MI, or even Madison, Wisconsin. To an extent, these are comparable sized cities. Bring a pair of shoes that can handle the walk – we put up 5 miles in no time, so it is easy to just keep walking, and walking. What were the people like that you encountered there? For the most part, nice and friendly. Only a few seemed argumentative, but even that was easily explainable since we were travelers and didn’t speak their language. Most want to talk, learn about our culture, and learn about us. What do you wish you would have known before you visited? Cuba is a cash friendly place, and ATM’s are nearly non-existent, safe ones that is. For the average couple, you can plan on spending about $40-50 per person, per day, with taxi’s, food, buses, etc. Depending on the restaurant, you can get away with a meal and drinks for less than $10.00, but you can also spend $40-50 on one meal. 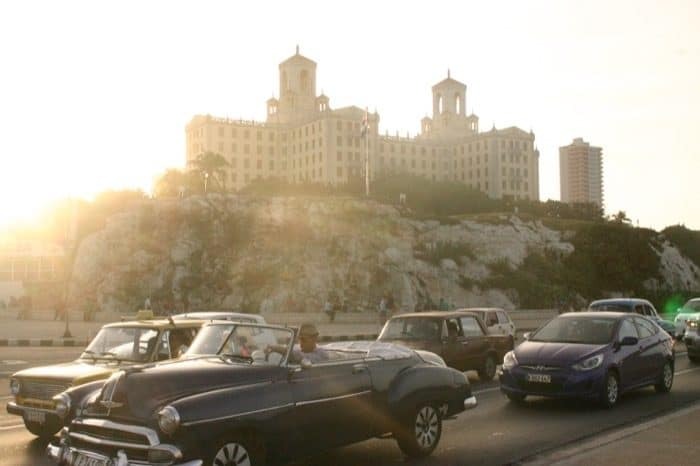 Most taxi’s in Havana cost us about $8.00, and in some cases, the exact same distance would cost $3.00, or $5.00. Be prepared to haggle and bargain for your rides. Were there any regrets from your trip? That we did not stay longer, and go visit outside areas. We did not make it to the home of Ernest Hemingway, which is a must-see. We did go to the beach one day, but would have loved to spend another day at other beaches. Be sure to do your research if traveling by buses. A private car is a good way to go, but the buses work well there. What were your favorite adventures? The last day in Cuba, we went to the beach, which took a while to figure out. I read in one of the travel books how to do it, but in the end, ended up talking to our hostess, who told me how to do it. The book was wrong. We went to the beach and stayed there all day, then took the bus back to the city and walked around, ate and drank, and saw all of the salsa dancers on the street. There was a festival out, so we got to watch that. Later on, we stumbled upon one of the famous daiquiri bars with a bronze bust of Ernest Hemingway. We slowly made it back to our house, and packed to leave the next day. 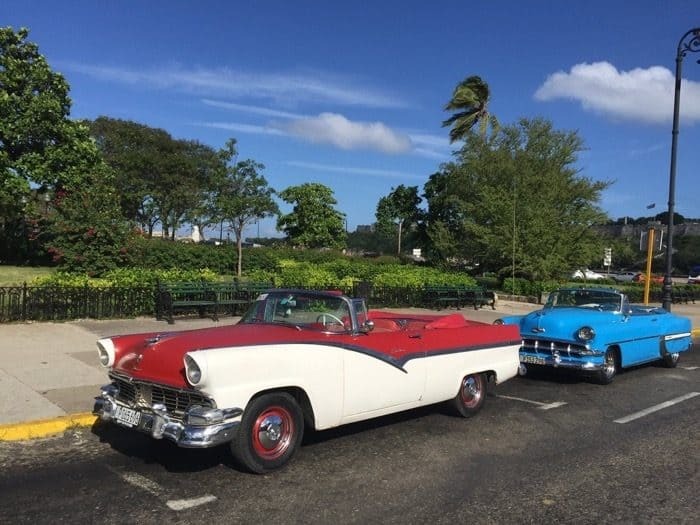 Great way to end our time in Cuba. What were your favorite meals? Seafood. We had lobster and shrimp was our first meal there. Oddly, we ate Pizza twice, and it wasn’t bad at all. The handmade drinks were amazing, mojitos and daiquiri’s were top-notch. What tips do you have for stretching your budget during your visit? Bring cash, and stay outside of town at an AirBnB or a hostel if possible. Make sure you bring a map, and be prepared to walk at least 5 miles a day to save on taxi rides. 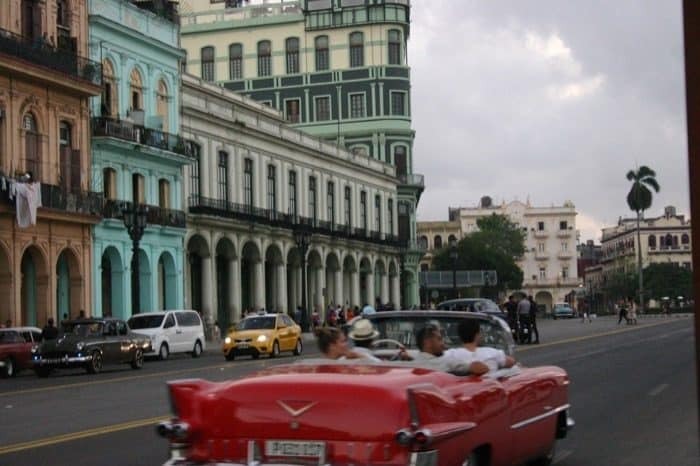 Old Havana is fun, and you can walk around most of it in 2 days. A lot of old buildings, and places you cannot get into, but still fun to see. The neighborhoods are great to see as well. If you can, take buses as they are far cheaper. You will need to research the bus routes, but you will save yourself some cash using them. 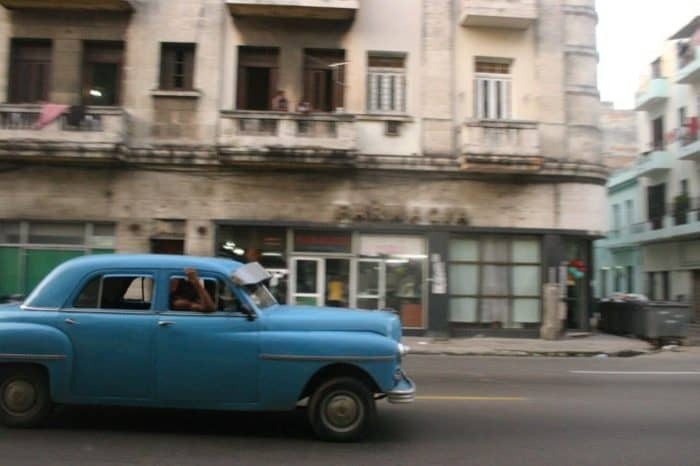 What advice would you give to someone who wants to travel to Cuba? Bring cash. On a shoe-string budget, you could get away with $15-20/day, if you don’t drink alcohol. But even things like water you have to buy, so you’ll buy about $5.00 of water a way, else be conservative on your portions. America, we consume large portions of liquid and food. It is not the same down there, limited portions. We take for granted small things like drinking fountains, but they don’t exist there. Thanks again to Joy and Steve. 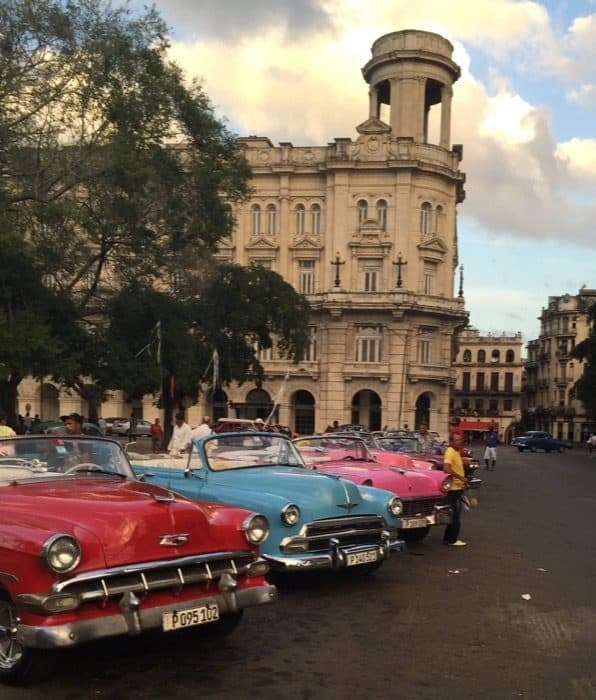 Your pictures and advice have us dreaming of taking a vacation to Cuba soon!